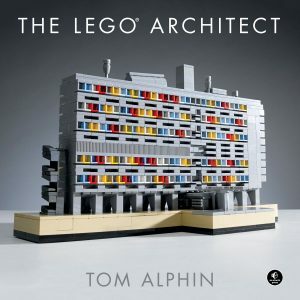 Let’s learn about this striking collaboration between a talented Architect and a talented LEGO Artist. Together, they beautifully re-created a contemporary mixed-use building using LEGO. Let’s meet Paul Wellington, whose model of the National Congress of Brazil by architect Oscar Niemeyer is featured in my book ‘The LEGO Architect’. We will also learn about his excellent microscale rendition of Frank Lloyd Wright’s Unity Temple. 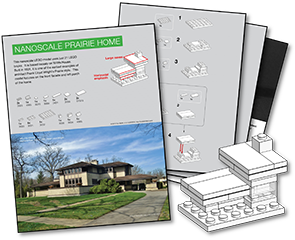 Let’s see how LEGO artist Ricardo Montoya is re-creating the landmarks of Oklahoma in the minimalist style inspired by the LEGO Architecture Studio set. LEGO Artist Steve Mayes has built an intricate LEGO model of Maggie’s Centre Newcastle. Let’s take a deeper look! The Bauhaus Dessau is a classic of early modernism, designed by architect Walter Gropius. LEGO Artist Gary Garvin built 3 LEGO models of the model at different scales! Let’s explore the benefits of building big, and building small. Lets learn more about this clever re-creation of a classic Futurist building, which was built using a small number of LEGO parts by LEGO artist Grant Passmore. LEGO artist Jameson Gagnepain spent 6 months meticulously re-creating this Frank Lloyd Wright home using LEGO. Was it worth it—of course it was! Frank Lloyd Wright’s Masterpiece re-created using 180,000 LEGO bricks. 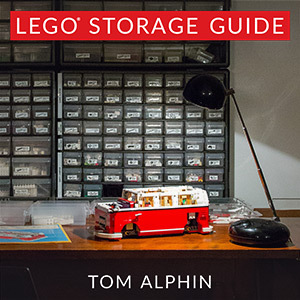 In addition to starting the official LEGO Architecture series, LEGO Artist Adam Reed Tucker has unveiled a 180,000 piece model of Taliesin West (1937) in Scottsdale, Arizona by architect Frank Lloyd Wright. The 4′ by 8′ model will be on display at Taliesin West through April 2015. Photo by Andrew Pielage / DesignBoom.